Weatherford, TX and Parker Co area! All services offered Call 254-433-0806 or email[email protected] Also Ask about doing P90x or other beachbody products! We have Spray Tan location in Oregon ! Located in a great gym!! So tan and tone!! Also check out http://www.gotitcoveredgroup.com for more info on Shanna’s services! Shanna also sells scentsy products too!! For that spray tan you need! She is mobile and will come to you or you can come to her! Email her at [email protected] or call/text 509-760-5182 for pricing and more info! Cindy Hollenbeck – offers foot detox’s by one or by the party! 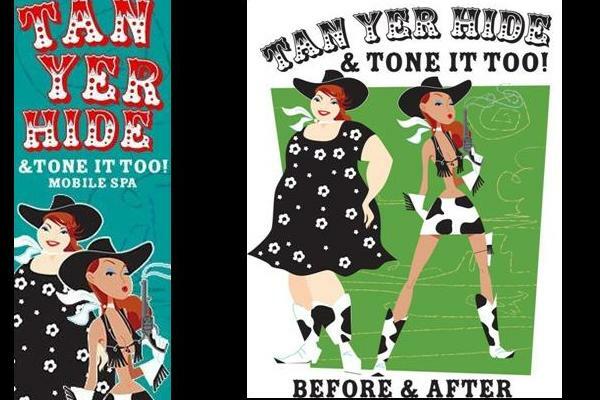 Tan Yer Hide & Tone it Too! ~Do you want a FREE Tan? They are easy and FUN!! ~Bring 4 or more friends and and your tan is FREE! ~Or share the FREE Tan! 5 people is $20 each!! ~Tanning parties can also make great FUNDRAISERS!! ~Cheerleaders and other groups looking for a fun new way to make money for a trip or?? ~Just book the days and have people come and you will get a portion of the profits!! Have you booked yours TODAY? Q: What is spray tanning? A: Airbrush tanning, often called spray tanning or sunless tanning, is a process by which a DHA based solution is airbrushed on to the skin via an automated system or HVLP tanning equipment. When the airbrush tanning solution is sprayed onto the skin, a safe, natural, sunless tan develops and lasts for about two weeks. Q: How long will the typical spray tan last? A: A spray tan fades just like a tan from the sun. Depending upon the individual’s rate of exfoliation and the quality of the tanning solution, spray tans usually last from 5-10 days. Q: What should you wear to a spray tanning session? A: Clients should wear loose fitting clothing to the tanning appointment. In warmer months flip-flops or sandals are recommended rather then shoes and socks. The client can wear either an old swimsuit, dark undergarments, or disposables while being sprayed. Q: How long does it take to apply? A: The spray will take approximately 5-7 minutes. The drying time can take approximately 15-20 minutes. Q: How soon can you shower after a spray tan? A: Giving the DHA solution time to react will ensure the best results. With most solutions allow 8-12 hours after your tanning session before showering. You should also make every effort to avoid contact with water during that time. Q: What should you do to prepare for a spray tanning session?A: For optimal results the person’s skin should be clean and free from moisturizers, make-up and deodorants. Lotions and make-up may block pores and prevent the tanning solution from reaching and interacting with the skin. On the night prior to, or on the morning of the tanning session, the client should shower using mild, non-moisturizing gel soap. They should also use a non-oil based exfoliant. The most effective exfoliants are designed for spray tanning. ~foot detox is a 30 min treatment where we pull toxins out of your body thru your feet. While our bodies detox naturally every day, the problem is that most of us lead such busy lives that it makes it very difficult for our bodies to eliminate toxins completely. When these toxins are not properly removed they simply build up in our system and the human body does not function at it’s optimum level therefore as a result it causes the body serious discomfort and dis-eases (sickness). During our normal day to day activities, our bodies are exposed to harmful toxins which are everywhere in our environment: Tobacco, smoke, alcohol, food additives and pesticides, to heavy metals and industrial pollutants, our bodies absorb these toxins which prevent us from functioning at our best. Full Body Detoxification: Heavy Metals Removal, Increased Energy, Faster Disease and Injury Recovery, Time Increased Oxygen in Body, Pain Relief, Improved Sleep, Reduced Fluid, Retention, Headache Relief, Boosts the Immune System, and much more have been reported by users. The foot detox spa works to dramatically remove toxins from your body through your foot. The foot spa accomplishes this by energizing the water. The feet have over 2000 pores and due to gravity our toxins go to the feet making the feet the easiest way of removing them! 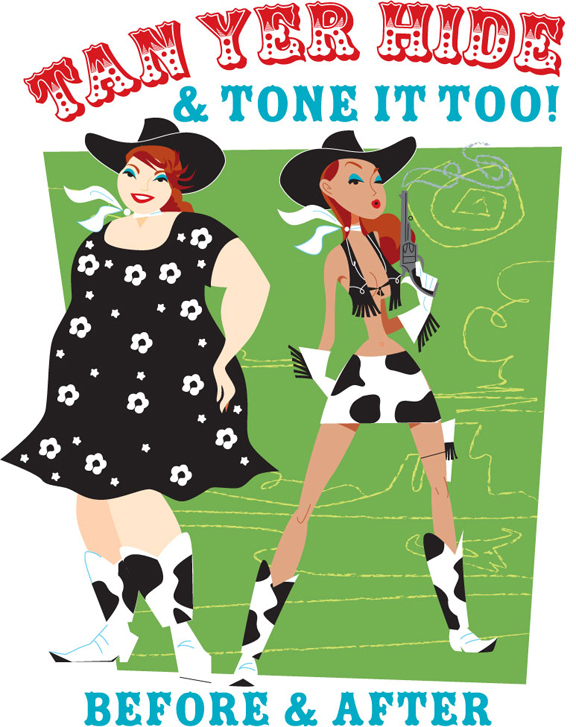 Reducing, weight loss, exercise and cellulite control has always been a major problem. toning tightening and softening the skin. Fluids called Lymphatic fluids surround every cell in the human body. These special liquids protect and bathe the cells, bringing them nourishment & taking away waste products. When you have an excess of toxins in your system, your body will automatically increase the amount of lymphatic fluids surrounding the cells in an attempt to remove these toxins. The increase of lymphatic fluids causes the body to swell and appear puffy and large. needing treatment for cellulite and inch loss, lightly to areas where skin- tightening is desired. lack of exercise, smoking and stress, while reducing inches, and firming and toning the skin. Flush out lifelong accumulation of health threatening metabolic wastes out of the body! This is the most revolutionary product you will find! This is an emulsion that you ADD to the tanning solution. This is so packed with moisturizers and anti aging/cellulite products and ingredients!!! This is what this does: Takes away any DHA/Tan odor No Patchy Fading NO MATTER WHAT LEVEL YOU USE!!! Anti-aging and Anti-Cellulite ingredients Longer lasting tan Makes the skin look and feel like silk!! …and only $5 extra for it!!! (Limited time) Your Tan will have never looked better!! Start your own Mobile Spa! Set up a mobile Spray Tan busines Only! $2300 or will do payments $1000 down and $500 a month for 3 months! Would you like more Money? But are sick of promises with no results? We have a deal for you! Contact us about health spa business opp in your area. Reasonable start up cost and help with advertising! GREAT Business Opp! This is a great way to go into business for yourself but get help from someone who has been running a business just like it! This is a mobile spa business – you can run this out of your home, car or local spa. Mobile spas have been picking up in popularity because of the convenience they give to customers. Realizing this, you may have thought of starting a mobile spa but you don’t know what you need. Tan Yer Hide & Tone it Too! offering business opp for women looking for part time or full time business – No store front needed!! This business will fit in your trunk of your car! With your own multi-location, full service day spa that travels to local offices, hotel or home parties! This offers an excellent business opportunity for a savvy entrepreneur. You can have a business that will fit in your trunk – I have a business just like this in a small town (under 5000 people) and I make between $1800 and $3500 a month. You will get 2 foot detox machines you will be able to do 4 people at a time – Spray Tan Machine – and solution to do the tans – and enough body wraps to do 5 people (these are washable and reusable) also the wrap solution. You will also get a training manual – a spot on my website about your business and weekly emails to give you tips and answers to help you with the business – also I am here to answer questions that might arise while in the field. This is the best time to start a CASH business – there are some days I leave a party with over $500 in my pocket for just a few hours of work and it is easy. I have been having great success in a small town so if you are in a bigger area think of the possibilities – this business is expandable as well. Just because you hear all the bad news about the economy, it does not mean that all businesses are failing. Some are, but many are doing just great. As a matter of fact, certain businesses actually thrive when the economy is bad and there are things about a bad economy that can make an enterprising entrepreneur a lot of money. Starting a business during bad economic times may be a good idea for you. It depends on what type of business you have in mind, whether or not it makes sense in this type of economy, and how much time and money you are willing to invest. People are willing to deal on advertising, products, time and more in a bad economy – so if you can hang it out then it can be the best time. Many of the most successful business today were started in bad economies. Don’t let the economy stop you from living a dream of being a successful business owner! You will be going into business for yourself but not by yourself – I have worked out the ruff edges of this and am willing to help you shine! You will also get a few sample retail products to sell, for added income. More can be purchased as well. You will get a link on my website to help with advertising and also have great free advertising deals. Please allow 2 to 3 weeks to get the items. – during that time I will help start the advertising end of it. Posted March 30, 2011 by Traci Davis in Business, Fitness, Go To Momma, Life!